Japonismes 2018, the cultural festival that opened in Paris in July, is a key event that holds great significance for Japan from a political and economic perspective as well as an artistic and cultural perspective. The importance of Japan’s relations with Europe is beyond question, following closely behind the country’s relations with the United States and China. The high priority given to Japan-Europe relations served as the foundation for the finalization of the Japan-EU Economic Partnership Agreement in December 2017, and its subsequent signing in July 2018. Japonismes 2018 is a tremendous opportunity to help Europeans gain a better understanding of Japan from a cultural standpoint. In order to maximize the potential that Japonismes 2018 presents to further strengthen Japan-Europe relations, it is vital to raise awareness of the event in Japan by boosting support for the festival, and encouraging people to actually go to France and take part in the festivities in person, adding to and augmenting the exchange and communication between the two countries. As President of Amicale au Japon pour la Maison de la Culture du Japon à Paris, I had the honor of attending the opening ceremony for Japonismes 2018, along with dignitaries such as Minister of Foreign Affairs, Taro Kono, from Japan and French Minister of Culture Françoise Nyssen. In Paris, I could sense the high level of anticipation for this grand-scale event undertaken by our two countries. In order to continue bolstering Japan-Europe relations beyond the eight-month long festival, it is essential that Japan shares in the excitement so that the festival is truly bilateral. I am convinced of the significance and value of Japonismes 2018. Maison de la Culture du Japon à Paris was established in 1997 as a joint government and private-sector effort by both Japan and France, and is ideally located at the foot of the Eiffel Tower in Paris. In the two decades since then, it has introduced a broad range of both traditional and modern Japanese culture to the people of France and Europe. I believe that both the Maison itself and the framework it represents will continue to play an important role in future Japan-Europe relations, and I hope that many will take advantage of the Maison from both a cultural and economic perspective. （Left）Maison de la culture du Japon à Paris　（Right）I visited of a “YU-ICHI INOUE 1916-1985 -The Liberation of Calligraphy” with Tsutomu Sugiura, President of the MCJP. Born in 1953 in Kanagawa Prefecture. 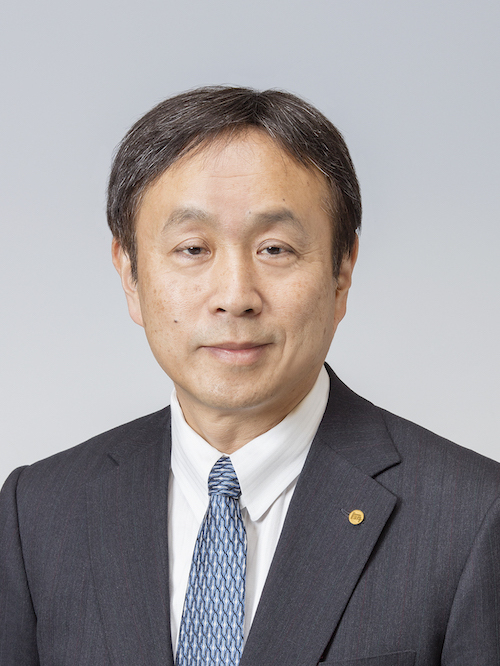 Graduated from the University of Tokyo in Economics in 1977, and joined Toyota Motor Sales Co., Ltd. (now Toyota Motor Corporation). Positions held at Toyota include Division General Manager of the Public Affairs Division, President of Toyota Motors North America, Inc., Chief Officer of External Affairs & Public Affairs Group, and Chief Officer of the Olympic & Paralympic Division. Vice Chairman of Board of Directors since 2017. Honorary Director of the Association for Corporate Support of the Arts, Advisor of the Japan Symphony Foundation, and Councillor of the New National Theatre, Tokyo, since 2017. President of Amicale au Japon pour la Maison de la Culture du Japon à Paris since May 2018.